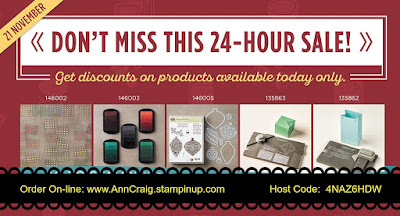 I'm excited to give you information on this great sale that Stampin' Up! is having for the first time in Australia, this coming week. It is called an On-Line Extravaganza, but you can also just email or phone your order to me and I can submit that for you if you prefer. The most efficient way is to do an on-line order, That way if items sell out quickly you will know and be able to adjust your order. the first being on the opening day, Monday November 21. You need to use the bundle numbers to get the special prices, not the numbers in the catalogues. 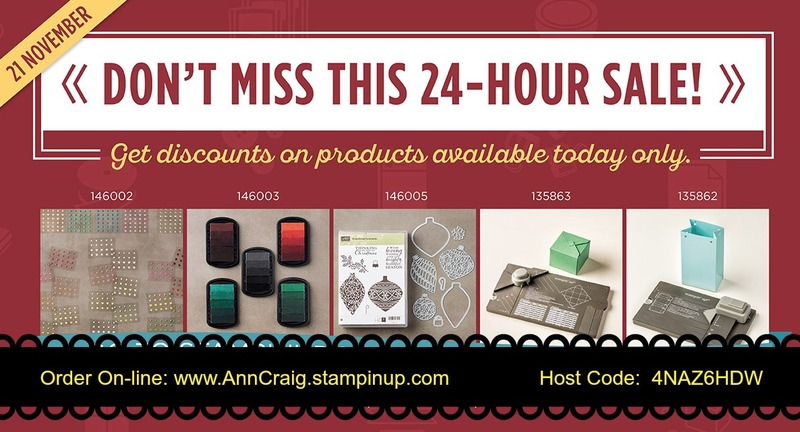 Use the item codes advertised in the above pdf to be sure to get your super discounts. Products are available while stocks last so don't delay placing your orders for these bargains. Christmas is coming and you may be looking for stocking fillers or crafty gifts for special friends and family. Buy now while they are reduced up to 40%.